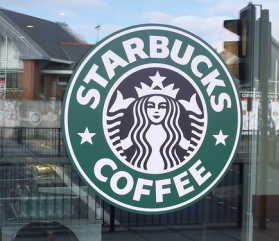 ​The Starbucks international coffee chain has announced it will open its first concept coffee shop in Amsterdam that will feature a “local flavor” concept where the company will test new coffees, new designs and new food ideas for the European market as the latest in a series of moves by Starbucks to reclaim its loyal clientele of the past. Starbucks' new cafe in Amsterdam is akin to a neighborhood style coffee shop where the coffee company set up shop in a former bank, and describes it as their "vision of the future." The new concept shop is a large 4,500 square foot subterranean space in the vault of a historic bank on the popular Rembrandtplein. The space contains community gathering spaces, an in-house bakery, and features local design elements including walls decorated by local artists complete with bicycle inner tubes. The biggest attraction may be the new Coffee Theater space, where servers will test and develop new coffee brewing methods and offer small batch reserve coffees that are totally unique to the store. After enjoying the profits from its efforts toward globalization and standardization, Starbucks now has over 17,000 stores spread across 55 different countries, and the new strategy is an attempt to get back to more local and sustainable business models as Starbucks vision of the future. Starbucks press release for the Amsterdam Concept store said that “While over the last few years Starbucks has gone to great lengths to reinforce the superlative quality of its coffee and products; under the radar they’ve been re-defining the atmosphere in which we drink it. In Seattle, New York, London, Paris and now Amsterdam, Starbucks has been stealthily unveiling unique, highly individualized and local concept stores across America.” It appears the former bank location was chosen expressly to push Starbucks beyond its comfort zone in terms of innovation and experimentation, and if the concept proves successful, more will be rolled out across the rest of Europe. As a result, Starbucks is calling the new concept store a “laboratory,” and considering its location in progressive Amsterdam, the lab could be the perfect spot for trying out new and different marketing ideas. The Starbucks Bank will function as a laboratory for testing new coffee brewing methods and it will also serve as the springboard for Starbucks new Clover brewing system in Europe. Starbucks The Bank concept laboratory and store is positioning itself as a cultural gathering spot in the heart of Amsterdam where thousands of people live within a minute’s walk from the store. The large beautiful store features inspiration from both contemporary Dutch culture and its deep coffee tradition, with local design details highlighting the role of 17th century Dutch coffee traders who exported the bean around the world. The overall effect loses the feel of an American coffee shop in Europe and instead feels much more like that of a traditional (if rather large) European coffee shop. If the concept proves successful, it a good bet there may be a Starbucks ”laboratory” coffee shop coming to a neighborhood near you soon.